Ordsall Lane Junction, Manchester, 15 September 2005. Looking west from Manchester Museum of Science & Industry. Liverpool Road Station soon became a goods station after it was by-passed by a new line (just visible in the distance) which connected the Liverpool & Manchester with Victoria Station. 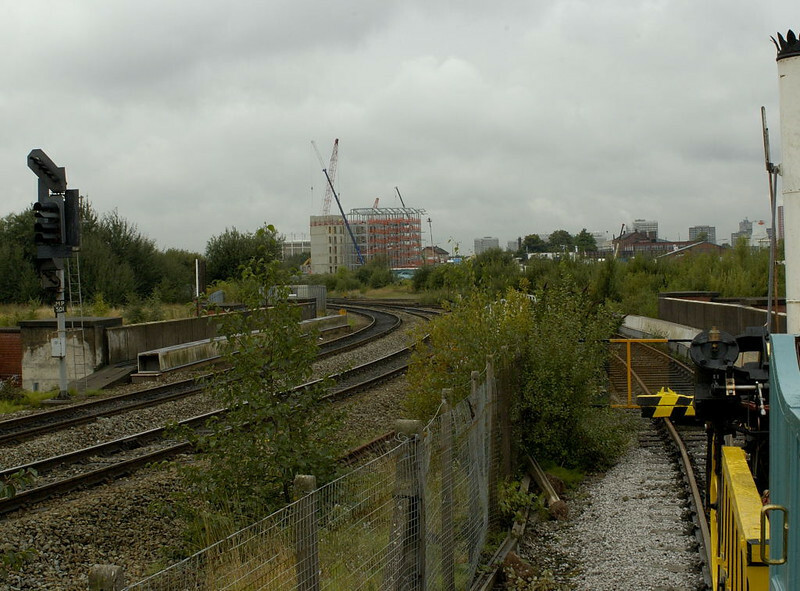 Another new line (visible at left) connected the L & M with London Road (now Piccadilly) Station.